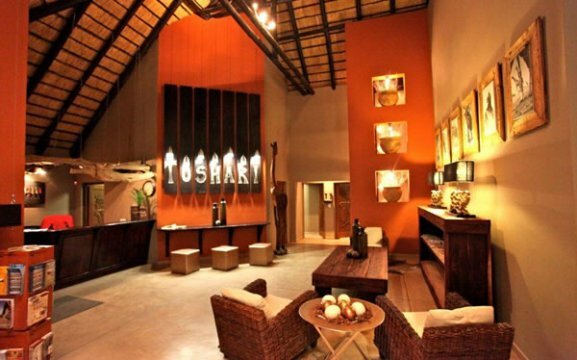 Toshari Lodge is located 70km north of Outjo and 25km south of the Andersson Gate into the Etosha National Park. 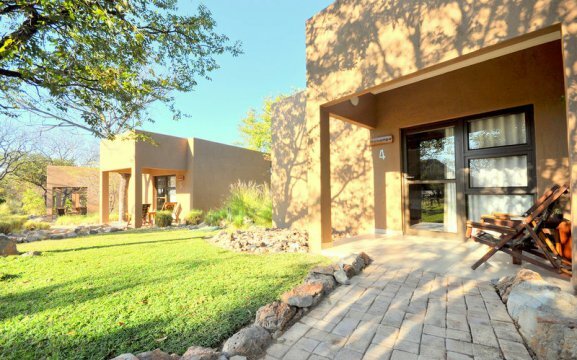 It features lush garden and is a home to many colourful birds and includes a herb garden a sparkling pool. Our restaurant that is now re-vamped, and serves buffet-style breakfast and dinner. We prepare daily fresh breakfast and Namibian cuisine for other meals. We have a bar with an great choice of wines. Lunch packs can be booked in advance. 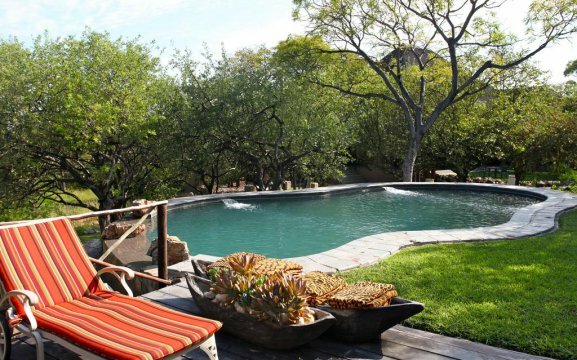 Guests can relax at our sparkling pool or at the terrace and enjoy the astounding Namibian sunsets. In the evening we have campfires at the ‘boma’. 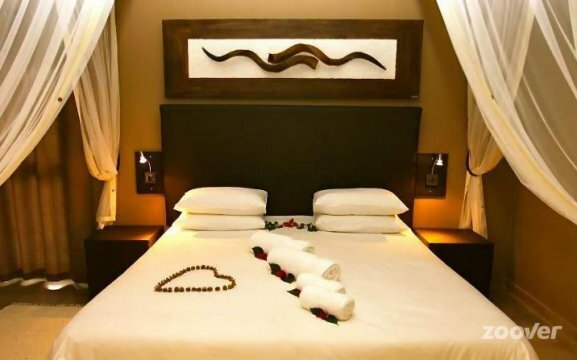 Our rooms include modern African design with dark wooden furniture, our beds surrounded by mosquito nets, a private patio and en-suite bathroom. 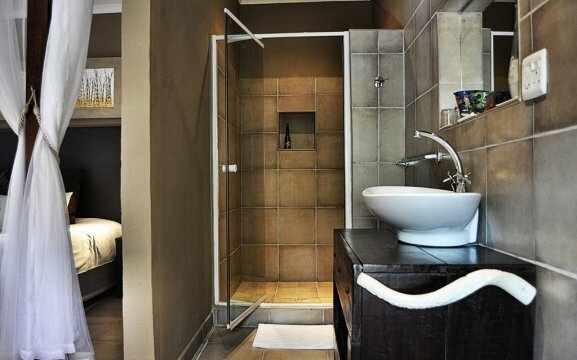 We have 38 rooms – including Standard Chalets, Luxury Chalets and Family Rooms. 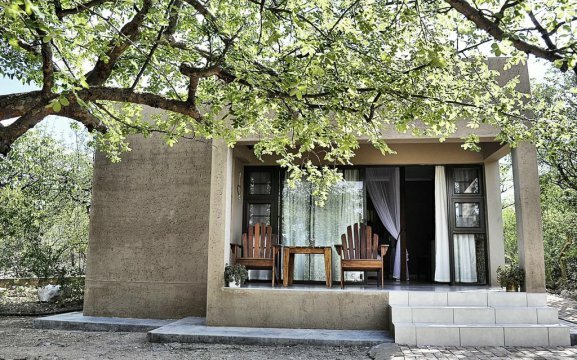 And three campsites under beautiful mopane trees and on green lawn, all include ablution facility (hot and cold water), power point and braai facilities. 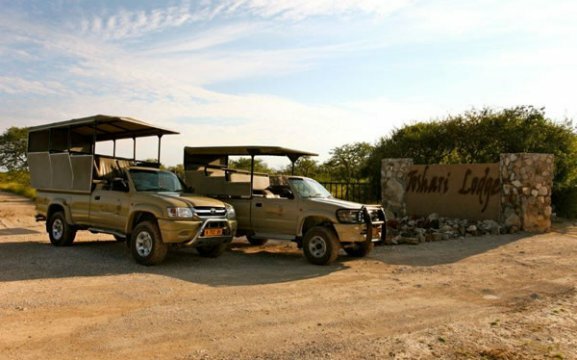 Guests can do self-drive tours through the Etosha National Park. Others can join us on a guided game drive including a picnic lunch with sparkling wine upon request. 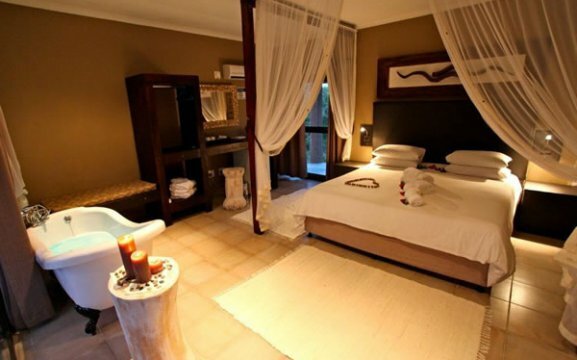 We offer half or full day game drives, 3 different walking trails and game/bird viewing. Toshari Lodge offers a variety of locations for wedding ceremonies. 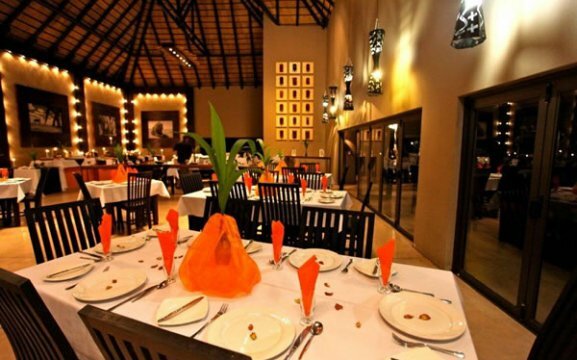 A fully catered reception can be held either outside under the trees or inside our majestic lapa. We can cater for up to 100 guests. 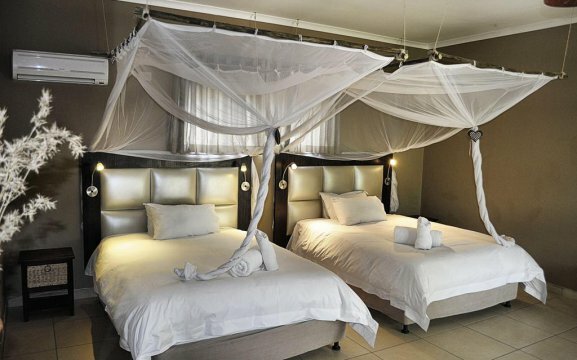 Our honeymoon suites have their own private terrace, King size bed, minibar, hairdryer, luxury bath and bathrobes.